4/27 - 28: Estate sale at the Cedars of Chapel Hill - nice sterling silver, Lalique and Waterford crystal, furniture, furnishings and collectables. For ad with photos, click here. 5/18 - 19: Estate sale at the Cedars of Chapel Hill with beautiful designer clothing & coats, elegant furnishings, art, and more. Ad with photos coming soon. 6/8 - 9: Large sale in beautiful 5300 sq. ft. home in upscale Durham neighborhood. Good furniture, home furnishings, kitchen items, exercise equipment, etc. - all excellent quality and nearly new. Ad with photos coming soon. 3/23: A nice ONE DAY sale in the Cedars of Chapel Hill. Beautiful home furnishings, lovely fine glass collectables - Lalique, Waterford, and more. For ad with photos, click here. 2/2 - 3: A lovely Fearrington Village estate sale with great home furnishings, textile collection (many good Asian textiles), and much more. To see online ad with photos and details, click here. 12/8/18: RETIRED AMBASSADOR'S SALE in Chapel Hill's Ironwoods neighborhood. AMAZING quantity and quality sale with wonderful furnishings, beautiful ladies' clothing and accessories, lots of things for the cook and entertainer. To see ad, click HERE. 10/13-14/18: Another beautiful sale at The Cedars. Lovely Portmeirion Botanic Garden collection, sterling silver, more. To see ad with photos, click here. 9/29 - 30/18 - Very nice sale at The Cedars of Chapel Hill with antiques, silver, militaria, and furniture. To see ad with photos, click here. 6/16-17/18: Fine estate sale at the lovely winter home of Mrs. Walker Kirby. A "must not miss" sale! House is 8,000+ square feet! To see ad with photos, click here. 6/2 - 3: Very nice large moving sale in GRAHAM country club neighborhood - only a short drive down beautiful Highway 54 West from Chapel Hill. 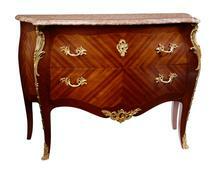 Fine traditional furnishings! To see ad with photos, click here. 4/28 - 29: Great "modern & practical" sale in Durham's Hope Valley neighborhood. Fantastic midcentury accessories. For ad with photos, click HERE. 2/10 - 11: A wonderful estate sale at the Cedars of Chapel Hill in Meadowmont. Antiques, interesting vintage, and silver! To see ad with photos, click here. DEC. 2 - 3: Nice moving sale in Fearrington Village. To see ad with photos, click here! 11/4 -5: CHAPEL HILL OAKS NEIGHBORHOOD: Moving sale with amazing contents. Property of an ambassador/career diplomat. Must Not Miss! Ad with photos here. 8/26-27: HILLSBOROUGH - Big sale for woodworkers, tool collectors, hobbyists! For online ad, click here. 2/25-26: DURHAM - an important tag sale celebrating the legacy of historian and civil rights icon Dr. John Hope Franklin. Book collectors, historians and readers should not miss this sale. For all the details, click here. 12/10-11: Another fabulous Fearrington sale with international flair! For details, click here. 11/19-20: A beautiful tag sale in The Cedars of Chapel Hill, with lovely jewelry, china, furniture, and more! For details, click here. 6/11-12: Another excellent sale in The Cedars of Chapel Hill. Paintings, NC pottery, furniture, silver, and more. For ad with photos, click here. 3/19-20: A superb estate sale at The Cedars of Chapel Hill in Meadowmont. Original art, Steuben glass, Tiffany sterling silver set, quality furniture, plus much more! Sale hours are 8 a.m. - 3 p.m. Saturday, 12 p.m. - 3 p.m. Sunday. For ad with photos, click here. 9/19-20: High-end Fearrington Village Sale with wonderful original fine Asian art - for ad with photos, click here. 8/29-30: High-end Danish Modern in FEARRINGTON VILLAGE, Pittsboro, NC - net proceeds to benefit Fearrington Cares, an important local service. Fantastic rosewood Danish furniture, jewelry, art, large stamp collection, etc. etc. For ad with photos, click here. Sale hours are 8 - 3 p.m. Saturday, 12 - 3 p.m. Sunday. 8/21-22/15: A wonderful tag sale in a stately 1920s Main Street mansion in Roxboro. For ad with photos, click here. 3/7-8: Gay Gasper Estate Sale in Carrboro: Art, books, pottery, gourmet cook's tools, and more! To see ad with photos, click here. ​10/25: Fantastic Falconbridge Sale. Nice contemporary furniture, good rugs, pottery, INCREDIBLE JEWELRY. To see ad with photos, click here. 8/23-24: Brier Creek Country Club Moving Sale in Raleigh. 5600+ square foot house, lots of nice furniture, designer clothing and shoes. To see ad with photos, click here. ​Out of the ordinary downsizing sale in Pittsboro's Fearrington Village. A great sale, with high-end, interesting items, Hollywood memorabilia, etc.. To see the ad with photos, click here. 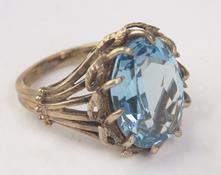 ​Fine and vintage costume jewelry, antique furniture and glass, excellent oriental rugs, top quality. Click here. 9/7-8/2013 Nice estate sale in Cary (physician, gourmet cook). To see the ad with photos, click here. 10/11-12-13/2013 High-end sale in Raleigh. Home was #11 in most expensive homes sold in the Triangle in 2013. For ad with photos, click here.